Twelfth century England. 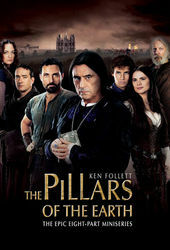 An era ruled by strife, anarchy – and the occasional king or queen – a period when “Christ and his saints were asleep.” This dark age provides the dramatic backdrop for The Pillars of the Earth, an epic miniseries based on author Ken Follet’s bestselling novel of the same name. The viewer’s introduction to this turbulent medieval world is Acme Filmworks' title sequence, a restless, ever-shifting portrait of the war of succession following the death of Henry I’s heir. Accompanied by Trevor Morris’ bellowing orchestration, the sequence chronicles the efforts of one man to build England’s largest cathedral in brush strokes of fire, blood, steel, and stone. A discussion with Creative Director MICHAL SOCHA of BrosFX. Give us a little background on yourself. I was born in Warsaw where I still live today. I graduated from the Academy of Fine Arts where I developed skills in different domains, but animation turned out to be what I liked the most. There, I made a film called Chick, which won some awards at several festivals. That way, I got to meet new people from all over the world and started receiving some interesting opportunities. Now, I’m part of a small studio of animation and post-production. The core of BrosFX studio is myself and my brothers Bartek and Kuba, each of us a good designer and director. 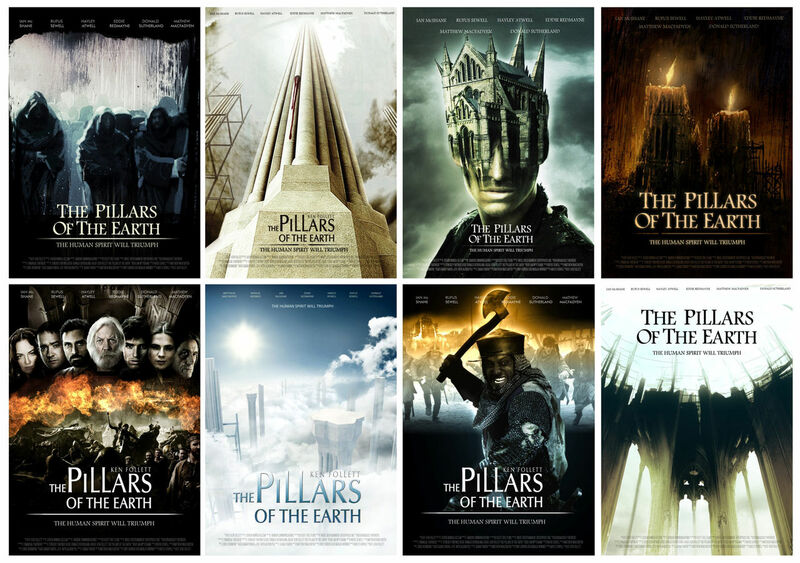 So, how did you come to work on The Pillars of the Earth? It took a long time for the project to reach us. When I was visiting different animation festivals with Chick, I met Ron Diamond, a producer from ACME Filmworks, who suggested a long-term collaboration. After some small commercial productions we had the opportunity to design the opening credits for Robin Hood by Ridley Scott. 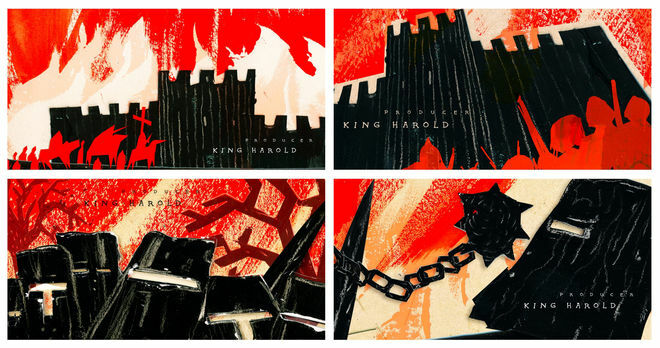 Opening title concepts for Ridley Scott's 2010 adaptation of Robin Hood. We pitched some concepts to Scott Free along with several other studios but we didn't manage to win that project. They liked our pitch, though, so they let us pitch for the opening title sequence of a miniseries, The Pillars of the Earth, based on Ken Follet's novel. What were your initial concepts? What were you inspired by? We obtained a short script of the series. Time was short so we worked hard and created many interesting concepts. Each of us interpreted the idea from a different angle and we created seven concepts altogether. They were inspired by different directions: Polish posters, graffiti, minimalism, drawings, stained glass, the American version of The Ring, Anglo-Saxon and Norman symbols. We tried not to be inspired by already existing title sequences; we wanted to create something completely new and different. From a marketing point of view, it is not a good idea to offer so many versions, but in this case the variety paid off. They liked two of our concepts so they gave us a month to do some animation tests. They were curious about how it would look in animation... and so were we. This concept was quite dark. My goal was to show surrealistic images suspended somewhere in space, all created in 3D. How did you decide on the sketchy, painted style? 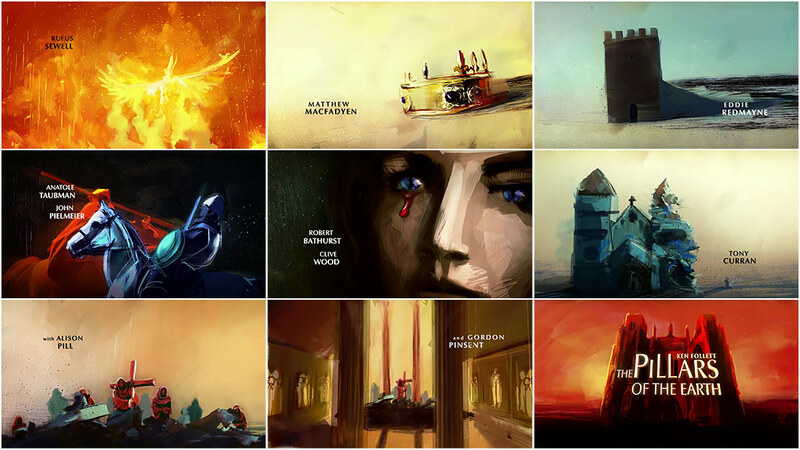 We felt the client wanted a title sequence created by artists, not by a big studio. 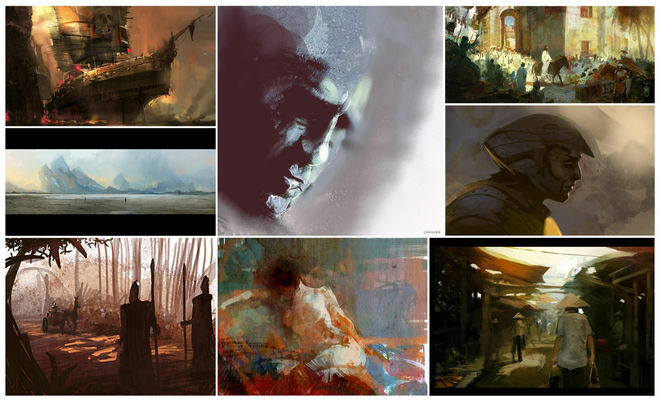 So we applied a fast, sketchy, painted style – we wanted to grasp that essence from some of our references. We decided to develop the first concept, saying no to flat templates. We added more traces of brush, pencil, and spray. Our animation test was approved and we became the official creators of the sequence for the show. In the primary concept we wanted to use video material from the show as reference points to paint the scenes in the sequence. We edited the video materials that we obtained and made the first animatic. It turned out that the 50-second animation was too static. What's more, the scenes taken from the film were giving away too much of the plot. After a discussion with the director, Sergio Mimica-Gezzan, we decided to make it more dynamic. He gave us a few tips and we created some simple animatics which were constantly changing. It took us two months to create the last, final version of the animatic to which we stuck till the end of the project. Were there any sketches or elements that didn’t make it to the final cut that you particularly liked? We were asked to prepare several versions of posters. I regret that none of them was selected. 'The Head of a Boy' (00:25 sec., from the final animatic) was initially supposed to be Eddie Redmayne's head. However, we didn't have any material with Eddie. We shot our own references, with Kuba playing the main role. But he really didn't look like him. Personally, I'm happy that this scene was not included, as we had less work to do, but Kuba lamented not being included. Our greatest challenge was keeping the style of the painted frames consistent. Even though we’re brothers, each of us has a different character and sensitivity while working. But the final effect is coherent and uniform. How big was the production team and how long did the project take? There were the four of us: Michał Socha, Kuba Socha, Bartek Socha, and Mateusz Krygier. The whole production lasted five months. One month of pitching, three months for animatics, animation, and posters, and one month for painting the final frames and their composition. It was a long and difficult journey which taught us a lot. We used 3D Studio Max for animation of the basic elements. Corel Painter 11 was helpful in painting frames and we used Adobe After Effects for compositing the final piece. There are several title sequences that I highly appreciate, for instance The Girl with the Dragon Tattoo, Psycho, Game of Thrones, etc. I really like the combination of sophisticated typography with well-fitting music. I think that a good title sequence should have a simple graphic message that captures the character of the movie. What’s next for you? Would you like to do more title sequences? I just finished working on one of the chapters of The Prophet, an animated feature film. It is going to be a very interesting film, coming out in 2014. Working on a title sequence gives me a wide range of possibilities. This was our first title sequence where we could really display our skills. Hopefully, it won’t be the last! Main Titles produced by: Acme Filmworks, Inc.